We provide a comprehensive range of electrical services to residential, commercial and industrial properties. Whether you are looking to upgrade or repair, Outlook Electrical takes the time to listen to your needs and will provide you with the most effective solution. 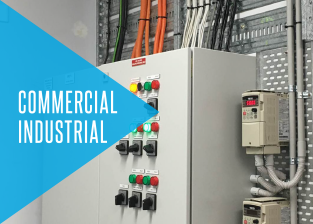 Committed to delivering an electrical maintenance and improvement service unlike any other our local domestic and commercial electricians consult with Melbourne-based customers to determine the best course of action for keeping the power flowing. Using only the best materials, parts, and components Outlook Electrical can transform your electrical experience for the better. As a cheap electrician, Melbourne residents from all walks of life can come to us for efficient and effective services that won’t break their budget. Don’t take the risk of attempting to fix your electrical systems, call the team at Outlook Electrical instead! With years of combined training and hands-on experience behind us we are the electricians Melbourne residential and commercial customers can trust. Fully-licensed and insured, we are the electricians you can rely on to complete everything from basic repairs and maintenance, switchboard upgrades, kitchen electrical installations, smoke detectors, and RCD safety switch installation. As one of the best local electricians in Melbourne Outlook Electrical have the skills and the passion to keep your lights burning bright and without interruption. 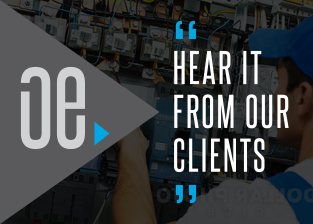 Proudly providing actionable advice and guidance relevant to your situation our electrical contractors ensure that your power flows safe. At Outlook Electrical it is our mission to deliver clean, fast, and hassle-free electrical services across Melbourne. Proudly delivering our unique brand of careful and precise electrical works to domestic, commercial, and industrial environments, we can deliver spark and shock-free solutions to homes and workplaces that meet current safety standards and regulations. By helping Melbourne locals with power point installation, switchboard upgrade, electrical rewiring, and light installation solutions, Outlook Electrical can modernise homes and offices without issue. 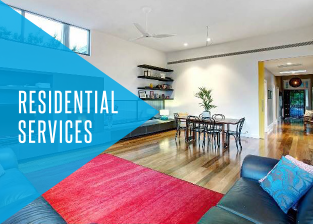 From replacing blown globes and fuses, to repairing outlets and wiring, our talented team can complete safe and detailed electrical maintenance throughout Melbourne’s extensive metropolitan area. Committed to delivering the highest levels of satisfaction to our valued customers, our team will clean up after we have completed our electrical maintenance work, keeping you home and office in the same condition we found it in. At Outlook Electrical we have made a business out of improving the quality of life for Melbournians throughout the metropolitan area. To book our exceptional services call us directly on 0422 213 509.